This is the fifth blog in a series of articles covering inbound marketing for motivational speakers and authors. You’ve got a Facebook business page for your speaking business. You’re working your LinkedIn profile. You’ve built a website and started blogging. You’re halfway towards a solid inbound marketing strategy. But those nagging thoughts about SEO marketing are lingering. Do I really need another marketing tactic? Let’s answer the questions, once and for all, and find out how SEO marketing fits into an inbound strategy. Pro Tip: SEO and inbound go hand-in-hand. SEO is actually part of inbound marketing, so you need both. 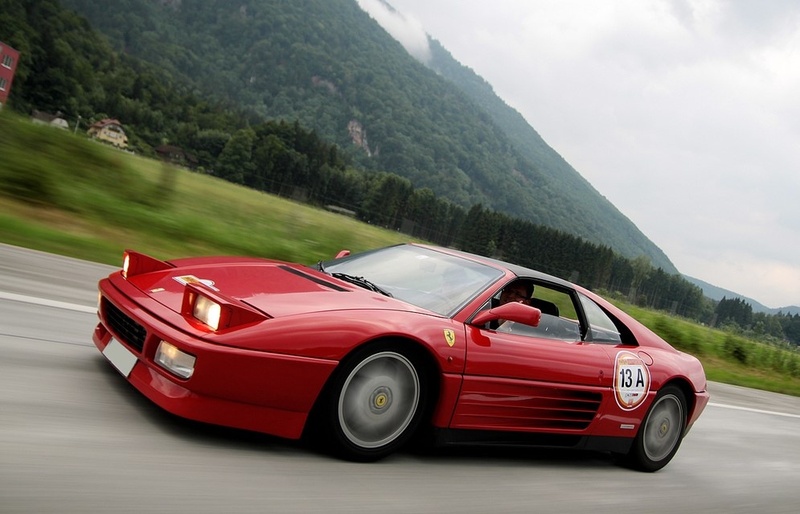 Think of SEO as the fuel that gets the racecar going, and inbound is your Ferrari. SEO is a strategy used by businesses (and that includes a professional speaking biz) to grow your website’s visibility. Using “search engine optimization” (SEO), you can tweak search engine results and generate lots of targeted traffic. Basically, SEO helps draw people to you website and supports all of your other marketing activities (social media, blogging, etc.). 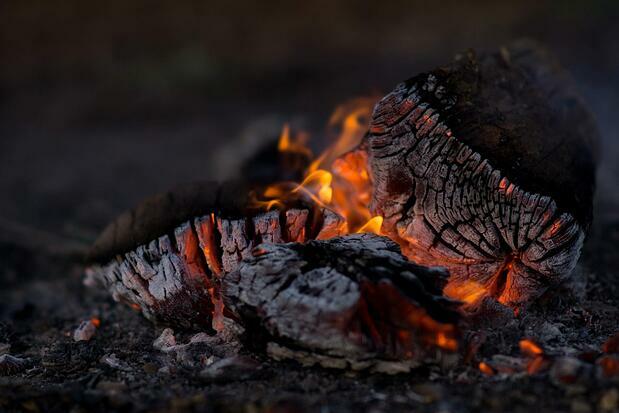 This is the “fuel” you need to spark the fire – sell products and book better speaking gigs. Onpage SEO When you’re building a website, that’s when onpage SEO takes place. MOZ does a great job of highlighting the onpage factors that make up good SEO. With the right elements on your website’s pages, you’ll make sure that your website is fueled up and ready to go! Pro Tip: Notice how onpage SEO now balances the user’s AND the search engine bot’s needs. 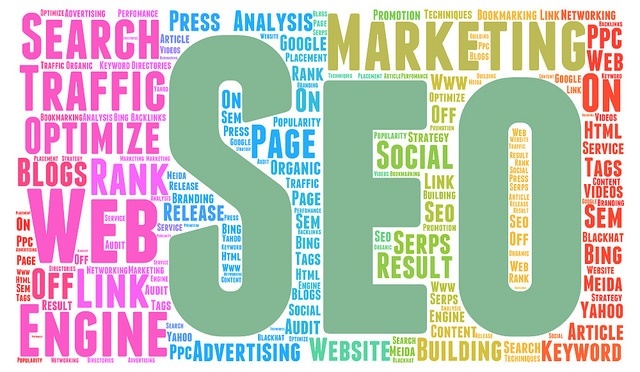 In the past, SEO was focused squarely on linking and using keywords – and that’s it. SEO left readers in the dust to deal with awkward sentences and poorly written content. Now, good SEO has to deliver for both audiences. But that doesn’t mean SEO stops. 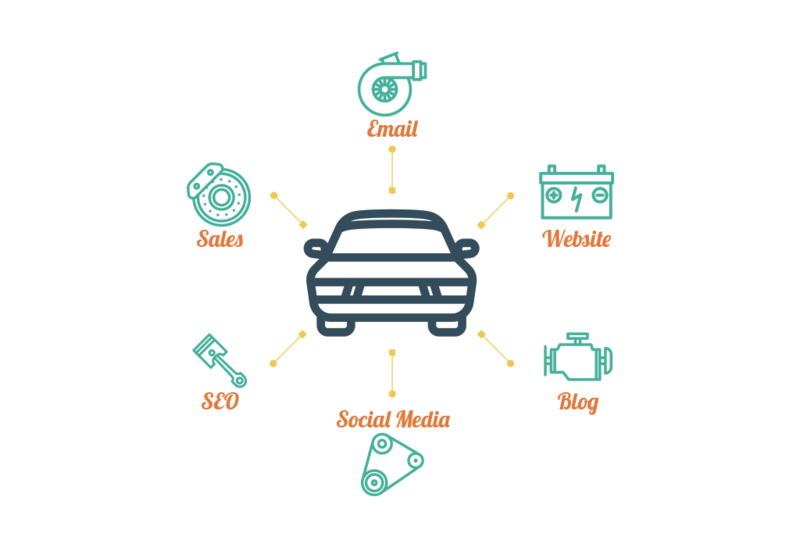 This is where SEO shifts, and falls under the inbound marketing umbrella. You’ll need to create ongoing content with some other activities to gain momentum. Now that your speaking racecar has fuel, we need to tweak the vehicle. Look under the engine. Prime the pump. Once visitors are on the website, your SEO strategy will shift into a different gear. Often referred to as “off-page SEO,” we call it “ongoing SEO.” Because it needs to be a consistent part of your SEO strategy. These ongoing SEO efforts is where you’ll find gold. Below is an example of how you can use ongoing SEO in your content creation. We use a tool called SEMRush to find keywords we can target. SEMRush lets users focus on key factors. In this case, we’re going to search for keywords that are below a .60 in difficulty. That just means that they’ll be easier to rank in searches than a keyword that’s above .60, because big-name businesses, magazines or other influencers hold these spots. We’re going to go after related keywords that people are also searching for that we think we can rank in. Notice that the keyword “business branding” has a .58 competition score, with 390 monthly searches, compared to the other keywords that pull 10, 20 or 50 monthly searches. Here are a few more good ones for our list. Once we’ve found the keywords we want to target, we’ll write blogs about “building a successful business” through concepts like “business branding,” “how to run a successful business” and “how to make a company” – all from our keywords! If we played our cards right, this blog post will boost our site’s ranking, pull in targeted traffic and drive leads over time. 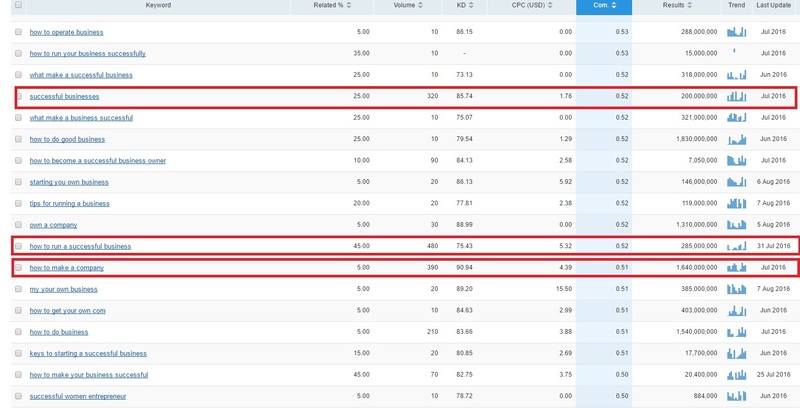 If you ranked in the top 5 search results for those keywords and 20% of people clicked on your blog post, you could be driving hundreds (or thousands) of additional monthly visitors from that single post! Once you finish building your website or giving it an overhaul, SEO is not done. You need to continue powering your efforts with ongoing SEO. It will provide the fuel your race car needs to move around the track – and fast. It helps your speaking business attract customers, keep them coming back and turn them into buying customers. Or, build your brand awareness so you book higher paid speaking gigs with on a bigger stage. 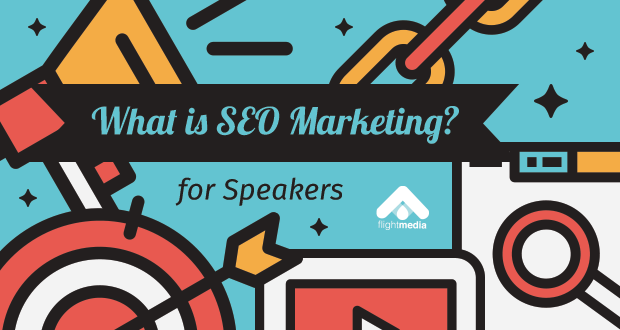 You no longer have to wonder, What is SEO marketing? You’ve got a handle on what it is, how it works and why it can’t exist in isolation from inbound marketing. And neither can inbound marketing work without SEO. Let’s put the right fuel into your “speaking” Maserati, and make sure the race car is ready to go. And your motivational speaking business will fly around the track, outpacing all the other speakers still wondering if they’re doing the right kind of marketing, and asking, “What is SEO” again? What’s the most challenging part of marketing your speaking business?